Radarlock combines the best of the Radar frame with Switchlock lens technology for simple, swift lens changes - leaving you free to enjoy the roads & trails for longer. Asian Fit. Infrared with Positive Red Lens. 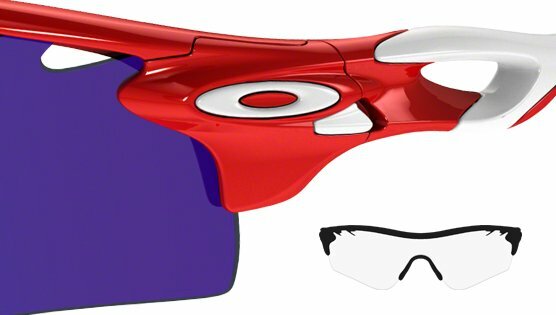 Oakley RadarLock was inspired by its brother, Radar. Featuring all the same sports authenticity of its brother it carries the addition of utilising Oakley's swift and simple Switchlock system, making lens changes even easier and quicker than before. Flip the catch, switch out the lens, flip the catch. Oakley's 'Can-Do' approach is also seen with lenses featuring hydrophobic and oleophobic properties to keep the view clear and clean of water marks and smudges.